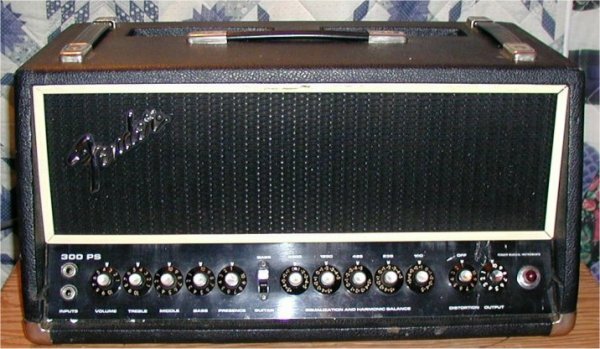 The Fender 300 and 400 PS, along with the Ampeg SVT, were the pinacle of guitar amplifier excess. 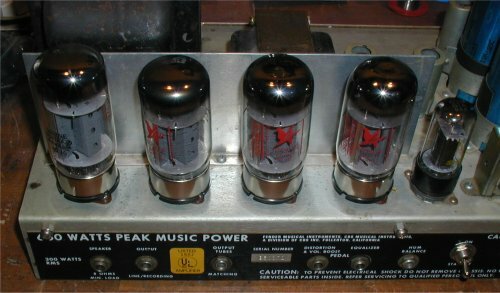 Here is my newly acquired 300 PS Fender. 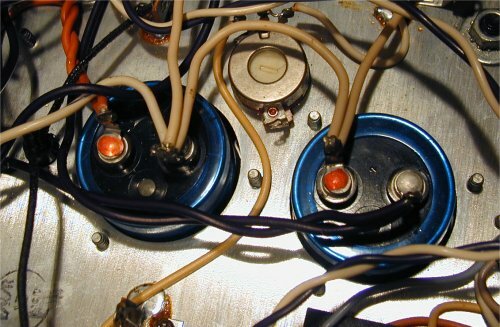 Despite having all those controls, inclusing a five-band equalizer, there are no solid state components inside except for power supply diodes, and one clipping diode used by the cheesy distortion circuit. 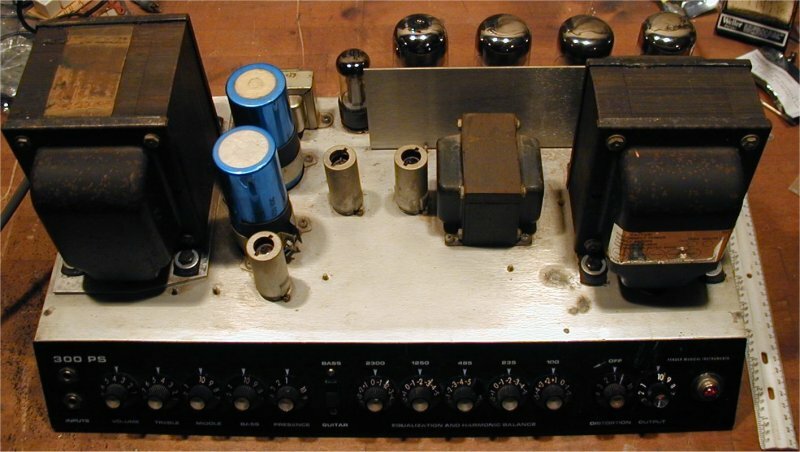 This amp was also built using combined point-to-point and tagboard construction - not a PCB to be found anywhere. 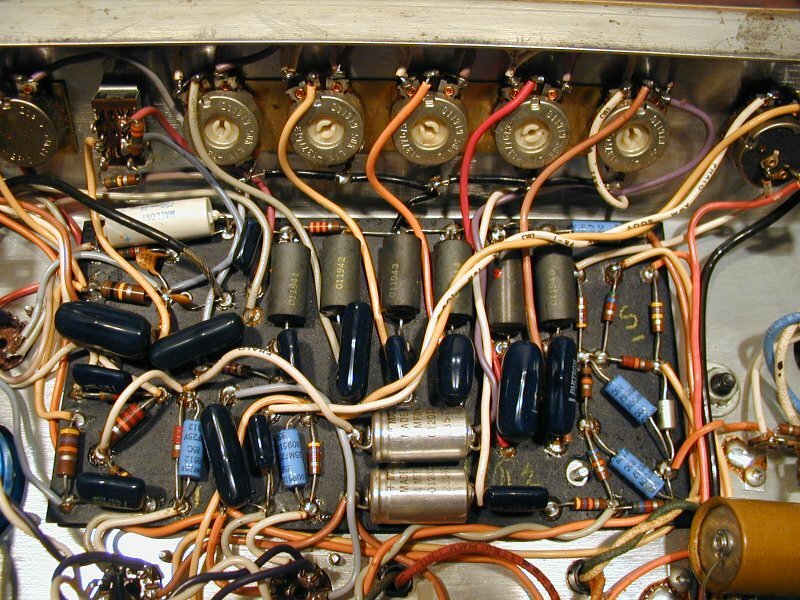 It must've taken a long time to wire up one of these bad boys! 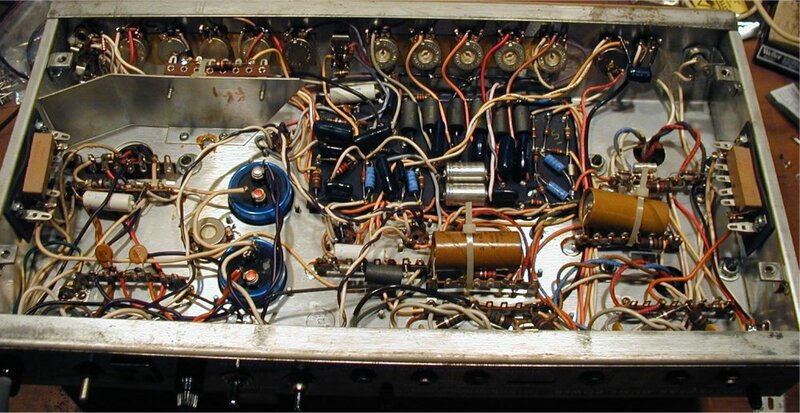 I found a schematic for this amp in Darr, of all places. Here are some images of the insides and outsides. 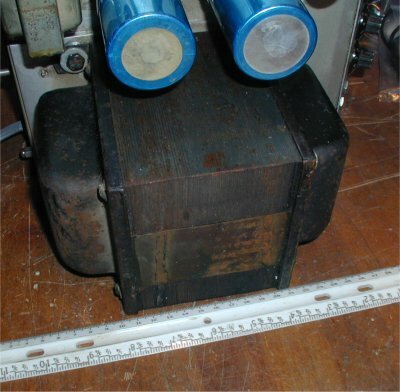 The top view, showing the three handles and two large vents.